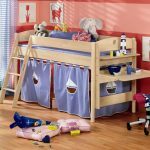 Bunk bed can be the right choice for your kids’ room especially when you have twin kids or almost same age kids that needs to joint each other in order to have an intimate relationship. 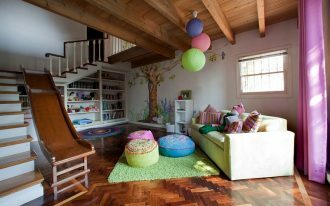 However, some parents may afraid to put bunk bed in their kids’ room because of safety factor. 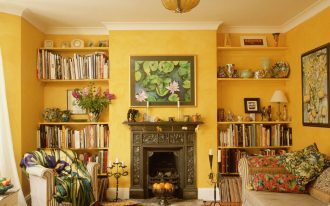 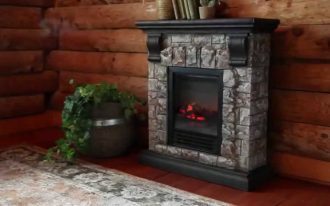 If that is the case, you don’t have to be a paranoid parent because you will be surprised by how bunk bed nowadays shaped with creative ladders and stairs that can make the room likely more fun. 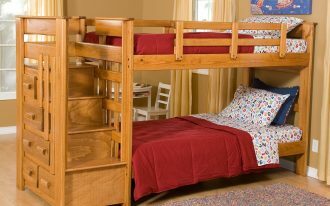 Here are some tips you should know before you plan to choose the right bunk bed for your kids. 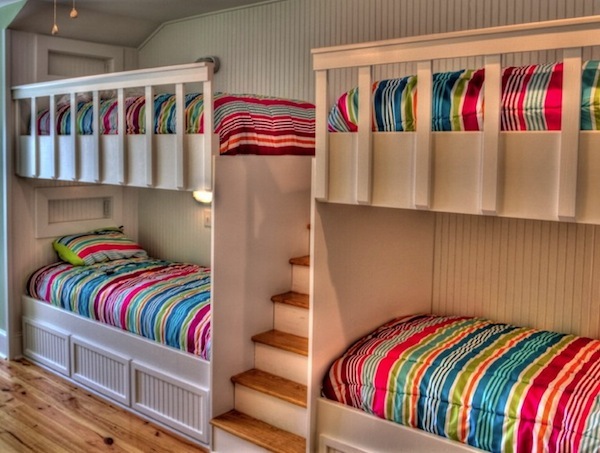 First, you should make sure that your kids’ room is large enough to place a bunk bed. 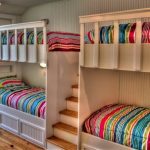 Most bunk beds have a large size since they sometimes containing drawers,stairs,and ladders. 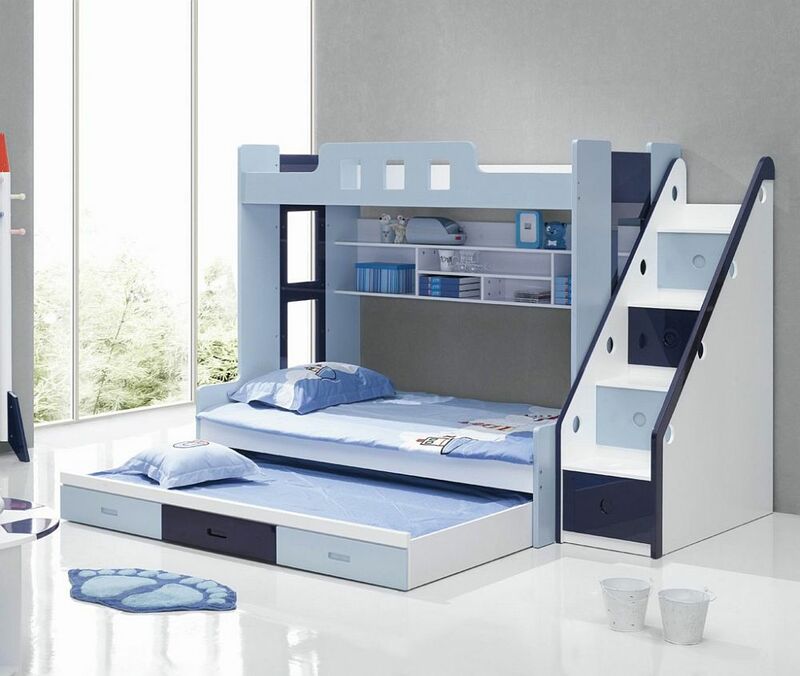 In addition, bunk bed can be perfectly utilized when it is placed horizontally. 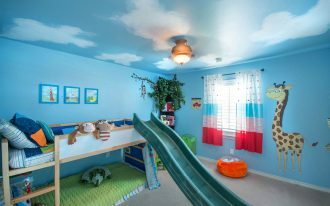 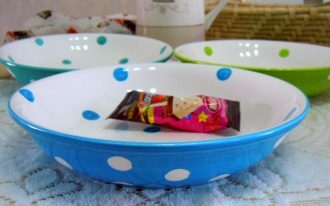 Your kids will have an easy access to walk around the bed without feeling disturbed. 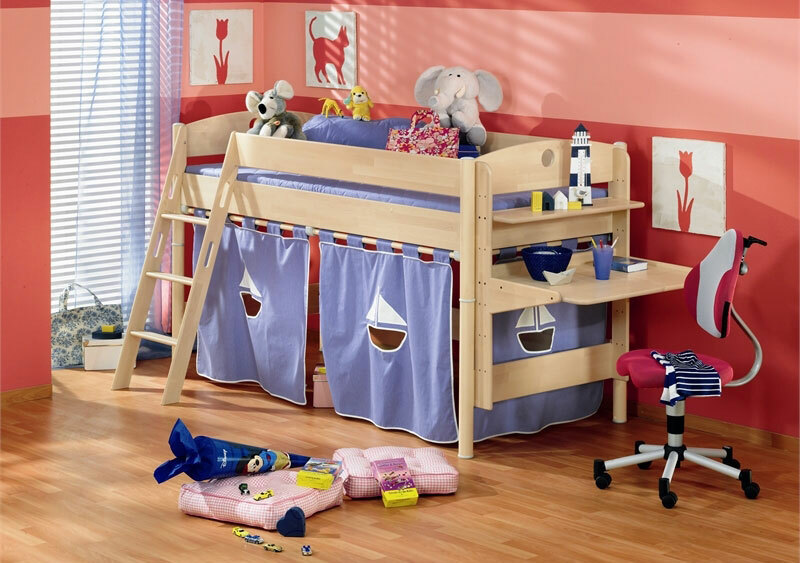 Second, it is essential to measure your kids’ ability to access the bunk bed safely. 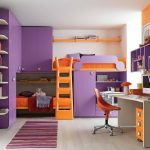 You should make sure that you invite your kids in the final buying phase to know how your kids will maneuver in their new bunk bed. 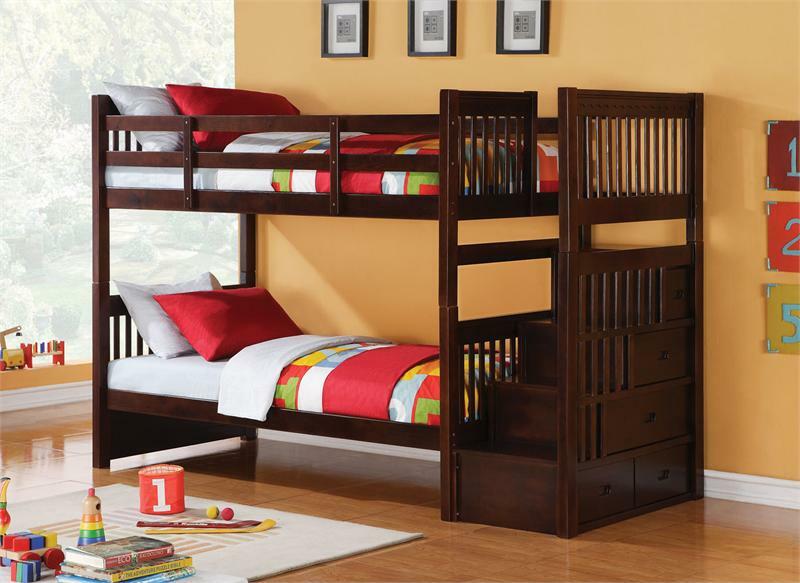 If it possible, choose a bunk bed that has handrail to keep your kids balance when they begin to climb the ladders. 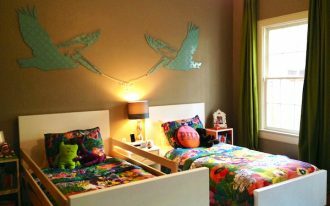 Lastly, your kids’ bunk bed must fit with the overall decorative style of your house. 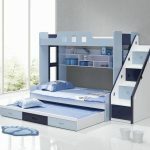 Therefore, considering color, shapes and style of the bunk bed is very essential. 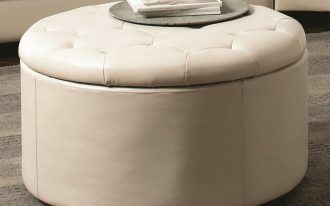 If your home has minimalist concept, choosing a loft bed with built-in desk is a great idea especially when you plan to conserve space.